SSUSA founder Lawrence Cann visited Duke's Sanford Public Policy School to meet with a select group of aspiring social entrepenuers studying at the University. The astute group impressed with two hours of questions. 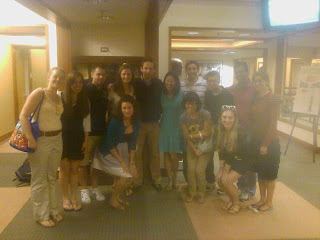 Here is a photo with student leader and Duke Engage member Brooke Kingsland.